Ανάμεικτες (35) - 65% από τις 35 κριτικές των χρηστών στις τελευταίες 30 ημέρες είναι θετικές. Ανάμεικτες (7,960) - Το 57% από τις 7,960 κριτικές των χρηστών για αυτό το παιχνίδι είναι θετικές. We are going to have server maintenance to make Talon, a new melee weapon available. Hi, guys, we are going to have a server restart to bring a Songkran Camo. 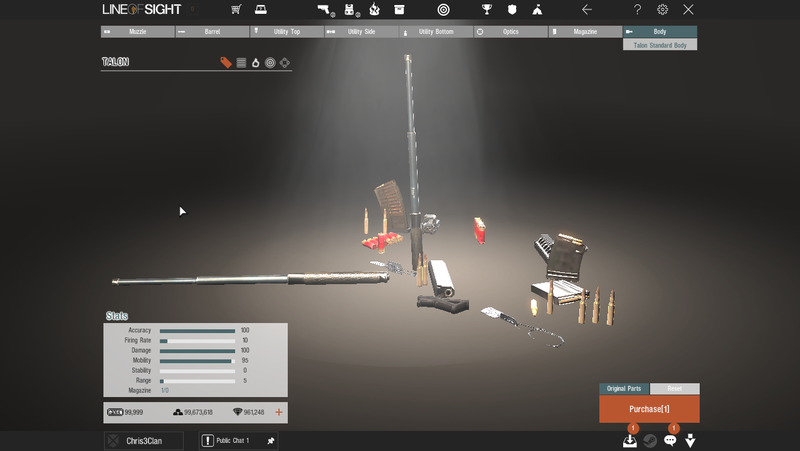 Line of Sight is an online Free to Play FPS game, developed by an small independent studio, that tries to deliver awesome and unique features, such as detailed character and weapon customization. Line of Sight takes place in a modern military setting in a twisted reality. Our unique Psionics Abilities will enable you to have a unique and blasting game experience. However if you are a classic military styled fan, the core is build on a classic shooter experience and ESP/PSY abilities are an optional room-setting. What ever playstyle you prefer, we got your back! Adjust the way you want! Optic, Muzzle, Barrel, Ammo-Type, Utilities, Paint..you name it - you can fully adjust it! Over 40 weapons with infinite tuning possibilites to choose from with more than 1.5 million customization options. 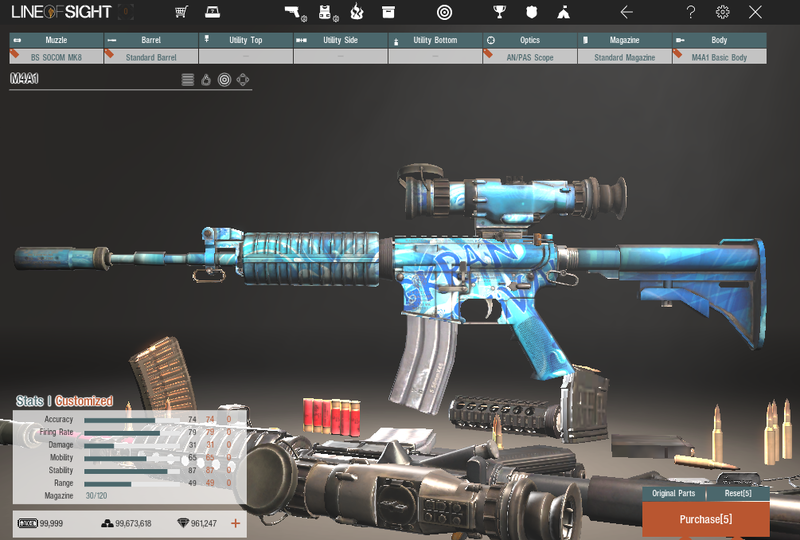 Beside your weapons, you can also fully customize your gear! Over 20 different maps spread across the globe, with both day and night options available and several modes to choose from. Want the true Battle Royale experience? Jump right in - scavange - survive! Jump in, search for equipment, battle to the death - we dont have to explain it.. Utilize Ranked-Matches and Stat tracking! To face enemies on your skill-level and keep your stats tracked with one single click! Copyright © 2016 BlackSpot Entertainment Corporation, All rights reserved. 30 επιμελητές αξιολόγησαν αυτό το προϊόν. Πατήστε εδώ για να τους δείτε.